Your point of sale hardware operation is largely out of control of the You'reOnTime software, it will just treat it as any other printer. So it is important to make sure it is correctly configured within Windows to ensure it operates. 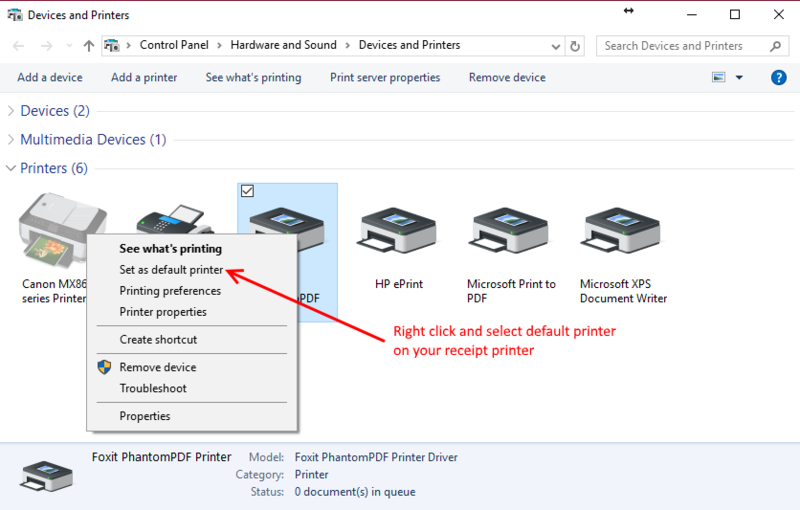 In order to operate in the most seamless way, your receipt printer should be the default receipt printer in Windows. 2. Type Printer and the option Devices and Printers will appear. Click on this. Once your printer is correct configured it will operate like any Windows printer. 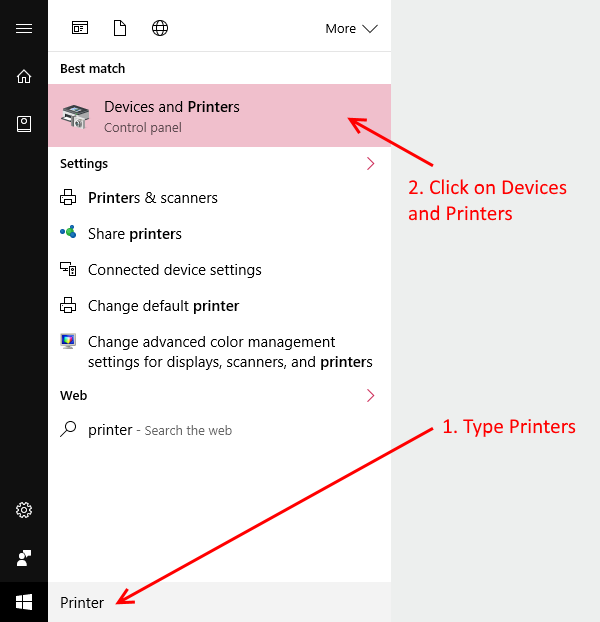 So to confirm any printer problems you are having are not related to You'reOnTime you should print a test page from another application. 2. Type Notepad and the option Notepad (desktop app) will appear. Click on this. 3. Type some text into Notepad, what you click is not important, so just type something like test printout. 4. From the File menu in Notepad click the Print option. If something printed then that confirms your printer is operating correctly and will operate in You'reOnTime. If it didn't print this means your receipt printer is not installed correctly or not configured correctly. Your cash drawer should be plugged into the back of the receipt printer. Then when you performed the test print in the previous step is should have automatically popped. If it didn't pop then you will have to change a setting which will depend on the exact type of printer you have.